The visit was great. The doctor (Berger) was happy to see me, helped with my problems and answered all my question.I felt comfortable around him. The visit was great. The doctor (Berger) was happy to see me, helped with my problems and answered all my question. I felt comfortable around him. 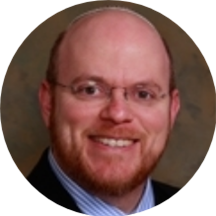 A seasoned cardiologist, Dr. Aaron Berger looks after the individuals of Brooklyn, NY. He is available for consultations and examinations at Mount Sinai Doctors. He is enthusiastic and detail-oriented in conducting patients' need assessments, as well as in providing accurate results and recommendations for the development of an appropriate patient treatment plan. Dr. Berger is certified in cardiovascular disease by the American Board of Internal Medicine. He earned his medical degree from the State University of New York, Downstate Medical Center. He is dedicated to his profession and believes that people need to be educated and made aware of their health issues. As a proponent of preventive care, Dr. Berger feels strongly that our lifestyle, including food choices and exercise habits, has a profound impact on our well-being. He guides patients on preventive care services as well as the diagnosis and management of chronic medical conditions.